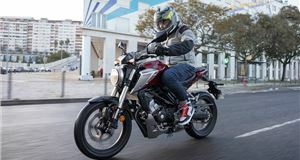 There are endless options for motorcycle gloves, but if you have small hands then you might struggle to find something that fits properly. 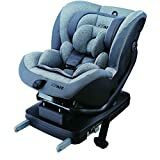 Ideally, they need to be comfortable, flexible, protective and breathable. We take you through some of our favourite options (both men's and women's) across a range of styles and brands - including gloves for all types of riders and seasons. 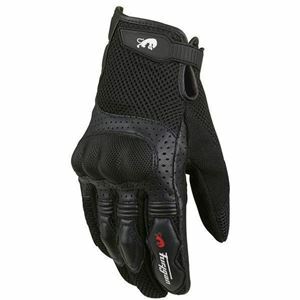 The Furygan TD12 is a pair of mesh summer gloves with hard knuckle protection. The CE approved TD12 are made of a polyester and goat leather construction with a reinforced doubled layer foam on the palm. The textile stretch panel between fingers makes for added comfort and there's a silicone grip on the index and middle finger. 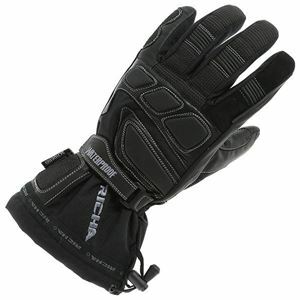 The gloves are very comfortable and offer a good range of movement with a velcro strap that loops through at the wrist. All in all, the TD12 is a quality pair of gloves from a quality brand - offering comfort, ventilation and security in equal measure. 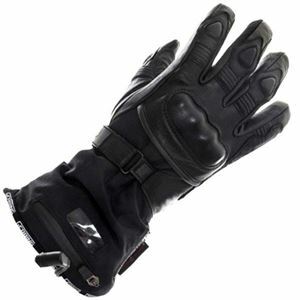 The XS-S size gloves are perfect for riders with small hands (like yours truly). The only downside, albeit a small one, is they aren't as grippy as some other gloves. 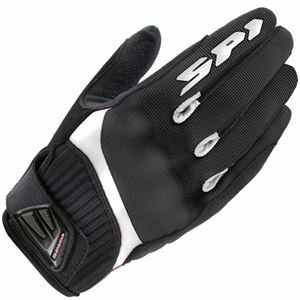 The Spada Freeride gloves are fully waterproof leather and ideal for touring. They're lightweight, elasticated (along the front and back and wrist) and have a padded palm. Sizes range from XS - 2XL. The gloves are very comfortable, flexible and offer the style that most other bike gloves don't. 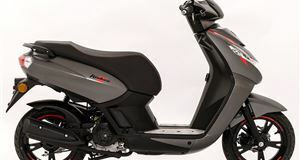 They don't have any extra protection, though, so aren't ideal for all types of rider. 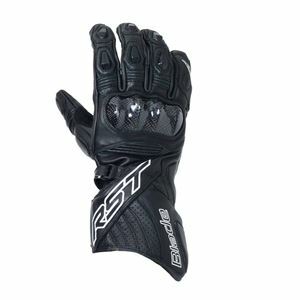 Like the Spada, these RST Blade gloves range from XS - 2XL. The gloves offer a premium grade, cowhide leather with carbon fibre knuckle protection. 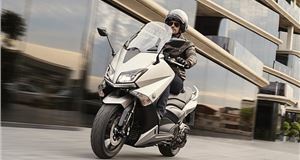 The gloves, if you can't tell, are far more robust than the previous offering - so they're ideal for sportsbike riders. There's double layered palm protection, while wrist and cuff closure allows a customised fit and prevent the glove coming off your hand in the event of a crash. All panels are stitched together using a bonded nylon thread to offer excellent burst strength. The Silicone Powergrip on the fingers and palm offer a secure grip on your handles and controls. The fingers of the gloves are pre-curved and offer a decent amount of flexibility. 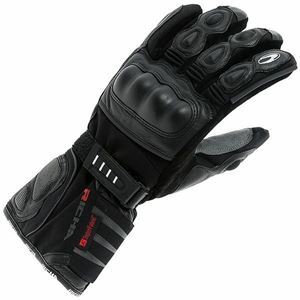 There Richa Carbon Winter gloves are a durable and weatherproof pair of motorbike gloves with carbon reinforced fingers. Features include added palm protection, a suede visor wiper and thermal lining. If you're looking for something comfortable that'll also keep the chill off your fingers on a cold day, the Richa is a very good choice - especially as they're also reasonably priced and aren't too bulky either. 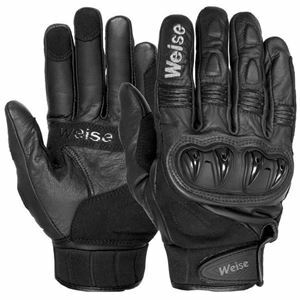 Weise is a less well-known brand that Furygan or RST, but the manufacturer sells itself on the fact that it produces quality bike clothing at an affordable price (£50 in this case). Enter, the Weise Street Fight gloves. Made of leather with TPU reinforced knuckles, they're a lightweight, robust, breathable pair of summer riding gloves. They might look a bit odd, but they're a perfect fit for those with short fingers. Not to be cliche, but they'll fit like a glove. Moving on, there's an adjustable velcro wrist strap, tri-Fleece lining and chamude overlay for extra grip. At £40, the Richa cost more than other gloves in this list, mostly because they offer extra protection against the elements - but they aren't badly priced. Although, bear in mind they will take more time to break in than summer/less rigid gloves would. 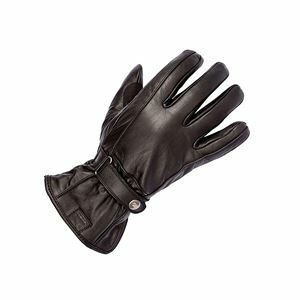 These Gerbing heated gloves range from S - XL so won't suit riders with really small hands - but what they lack in extensive sizing, they make up for in features. 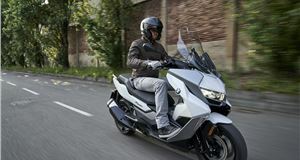 If you're touring, connect the heated gloves directly to the bike with Gerbing's battery hook-up. For shorter journeys, like commuting, just plug in the portable batteries (available as an optional extra) for three hours of heat on the lowest setting. Aside from just a heating element, the XR-12 gloves are comfortable and safe, made with a soft, premium leather. You get a lifetime warranty on the heating elements, too. The gloves feature a waterproof and windproof Hipora liner, adjustable wrist closure, hard knuckle armour and Thinsulate thermal liner. They're significantly more expensive than other gloves in this top 10, but you get what you pay for. 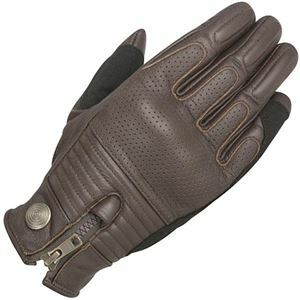 The full grain leather construction Apollo Gore-Tex riding gloves are completely waterproof and windproof. Rukka may not be a well-known brand name, but the Finland-based manufacturer has been in the game since the late '80s and offers a two-year warranty on its gloves. The gloves feature touch-sensitive Gore-Tex X-Trafit tech, concealed hard knuckle protection, a double velcro cuff closure, visor wipe on left glove and 3M reflective on the fingers. The Rukka aren't the cheapest pair of gloves, but they're also likely to last much longer than something in a lower price bracket because of the high-quality materials. For those who fancy a bit more style on their ride, these Alpinestars Rayburn leather gloves are perfect. They aren't the most protective pair of gloves, but the slim construction makes them convenient to carry around and comfortable to wear. 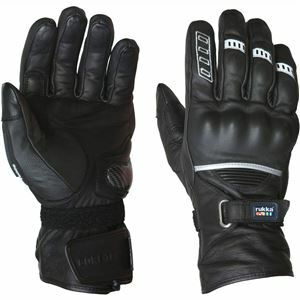 The leather is flexible and the zip and stud closure makes them snug and secure on your hand. There are synthetic reinforcement panels on the palm and knuckle protection as well. 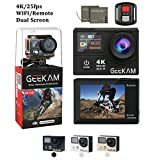 For this price, it's a very good buy for any riders looking for something a little less garish than a lot of bike gloves. Sizes range from XS - XL and they come in black or brown leather. They sit at about £75 usually. These Spidi ladies gloves are constructed of stretch textile and are perfect for summer riding. They come in XS - XL and feature extra padding on the palm, back the of hand and outside little finger. Clarino microfibre and vented inserts provide great comfort and air circulation, meaning they're ideally suited for short, urban use. Lightweight, comfortable and flexible at a low price point - what's not to like? If you're thinking about ordering, considering ordering a size up, or at least reading some reviews, as they can be a tad on the small side.